Veet Sensitive Touch is their latest product which comes with various detachable heads to facilitate accurate and gentle hair trimming at sensitive body parts, such as the eyebrows, underarms and bikini lines. One device can do so many tasks! - Cutting blades are specially designed to never touch your skin during usage, so it has n risk when cutting. How to use: First, place the battery into the device. 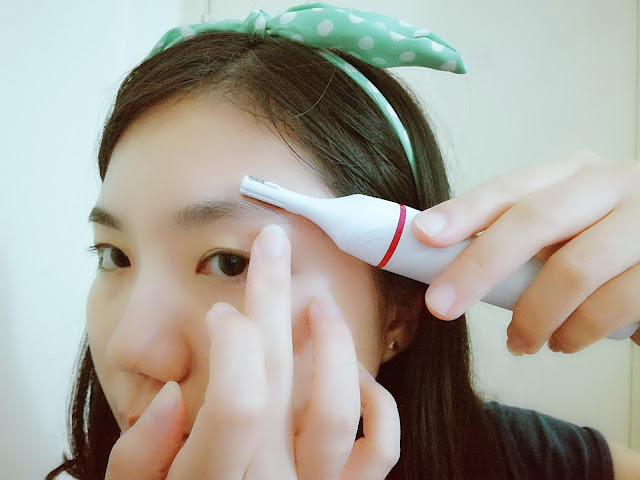 The device is fixed with the eyebrows trimming head, so you can directly use it to trim your eyebrows after inserting the AA battery. My Experience: It is so much convenient to me! I can now use it to trim my eyebrows and anywhere I like instead of getting different type of products to trim different part of the body. Veet Sensitive is so much easier to use. Having two different kind of trimming head which are easy to plug onto the device or change alternately. It is so nice that a little cleaning brush comes together in the box. I can actually clean my device wisely to keep clean. I also use some oil to apply on the trimming head area so it can stay longer without getting rusty. Veet Sensitive Touch makes me feeling more confident on myself. 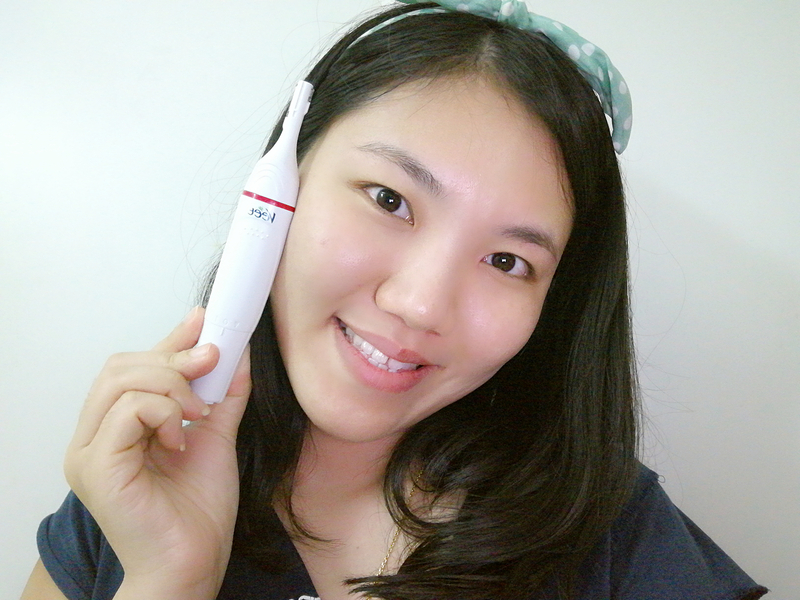 I can always present a pretty eyebrows everyday by using this device daily. It is so easy to use which I just need to turn it on and place it onto my eyebrows and trim. That's all. The most important thing is that I don't need to worry about getting hurt while trimming.